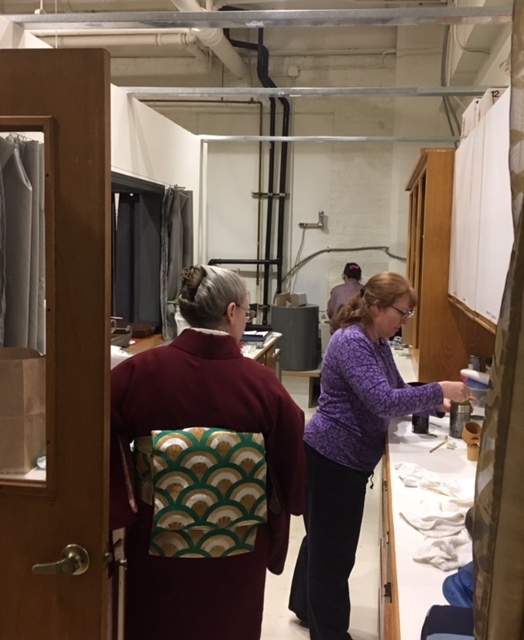 Last Wednesday, I had a few of my regular students show up for class. This is not unusual as students can come as many times a month with their tuition. Sometimes they come to make up for missed class or they want to come twice or three times a week. 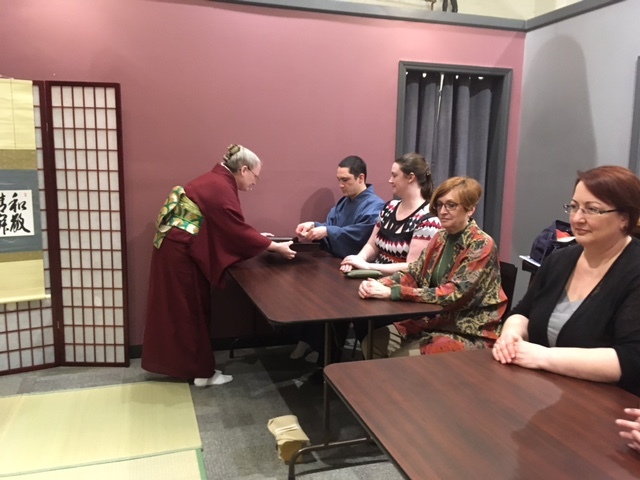 About halfway through the class, a couple of other students showed up, then a few more, and then a couple of students showed up who are not actively studying, and then my good friend Barbara Walker showed up in kimono! Something was definitely going on. 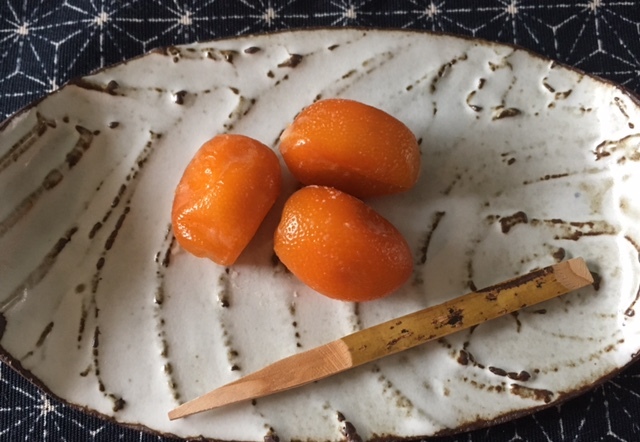 I was most worried because I had not made enough sweets for all the students who showed up. But it was a party to celebrate my kanreki, or 60th birthday. Which, by Japanese custom, is the beginning of one’s second childhood. If one measures life in a 60-year cycle — and if you use the Chinese zodiac calendar, you do — then age 60 marks a new beginning or birth: You can be a child once again. I even got presents. 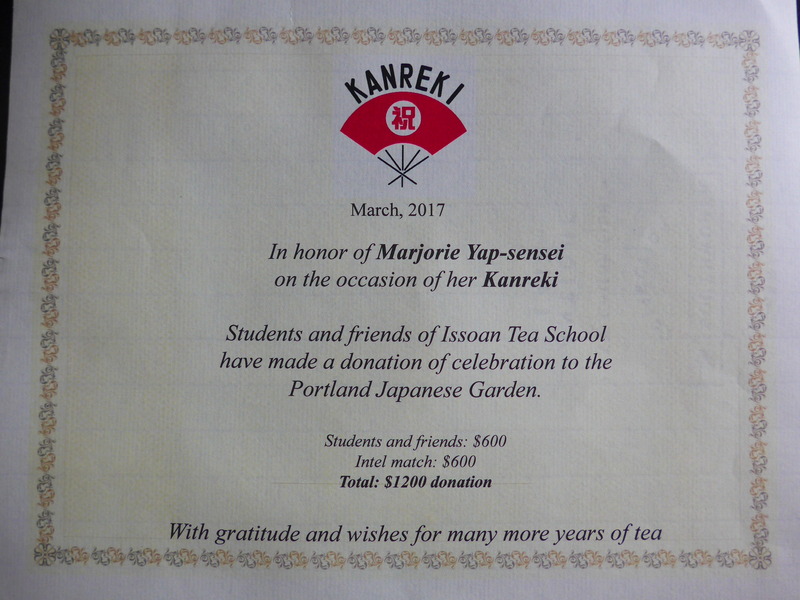 As you can see from the certificate above, a donation was made by the students and friends of Issoan Tea School to the Portland Japanese Garden. Which will be having a grand opening of the new construction on April 1. As well as a card signed by all the students. 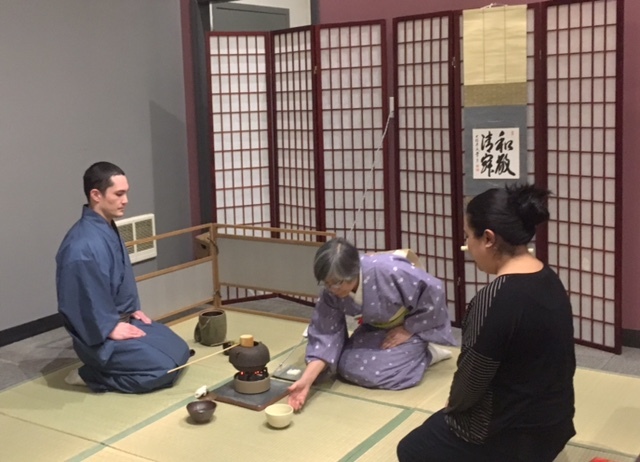 I was served a delicious home made sweet and tea, and then everyone was served sweets and tea. Everyone gets tea and sweets. 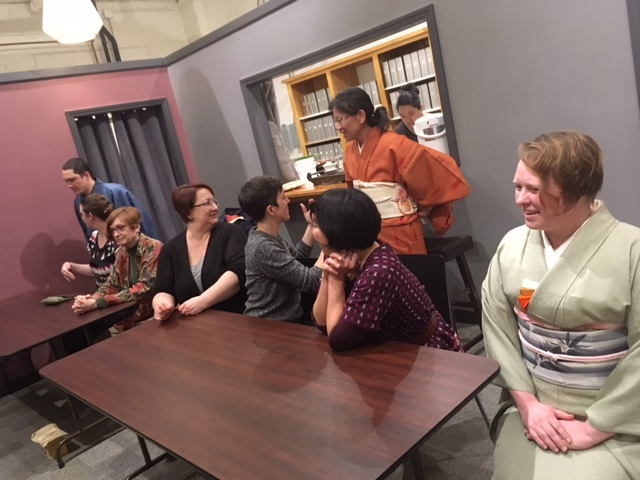 And at the end, everyone pitched in and cleaned up the mizuya, took down the tea room and put everything away. 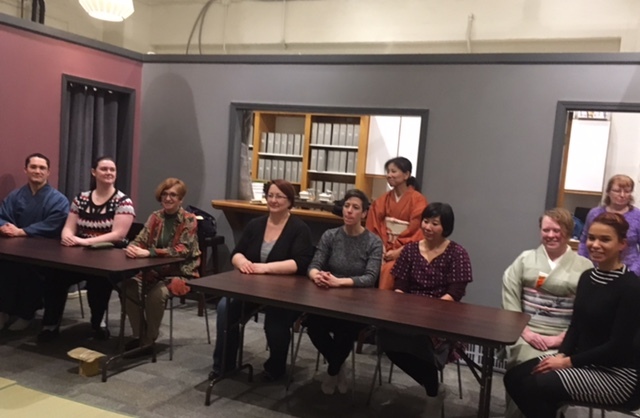 A special thank you to Stephanie Wilson for planning and organizing. Thank you everyone who came to the party, who contributed to the gift and who were thinking of me for my kanreki. Thank you for your comment. Thank you for your wishes. I do have wonderful students. Thank you for your comment. Yes, it was a special party. 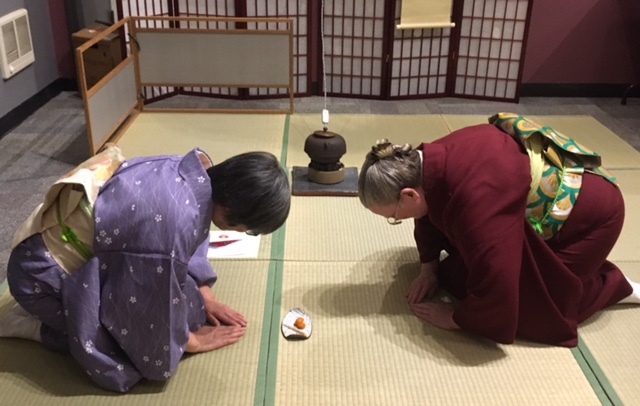 Congratulations on your kanreki, and having such a thoughtful group of students! Wow! How special! Happy kanreki!